I’m always excited to learn about new companies and try new products. But I also love getting a chance to review new products from companies I know and love – companies like Tea Gallerie. 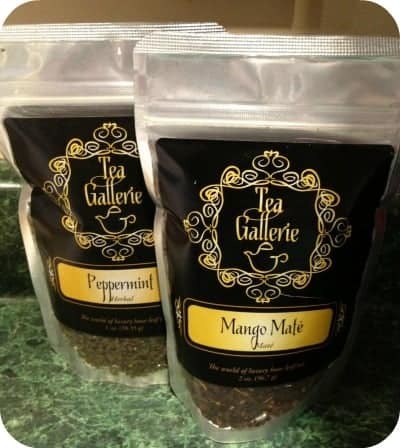 My husband and I are both big tea drinkers and always enjoy trying new flavors, so we were both thrilled when the opportunity to try four new flavors from Tea Gallerie – Peppermint, Mango Mate, Tropical Passionfruit and White Guava Ginger. Being in the holiday mood, we gave Peppermint a try first. The aroma of the steeped tea is fantastic. Although the smell was strong, the taste was what I would call gentle and subtle – not overwhelming at all. The same can be said of the Tropical Passionfruit. This tea has all the benefits of traditional green tea with a great fruity flavor. The tropical White Guave Ginger and the sweet Mango Mate are equally as tasty and refreshing. My husband and I are enjoying rotating through the new flavors. San Diego based Tea Gallerie is a tea lover’s dream. They have a variety of wonderful flavors and specialties for every palate. They also carry tea ware, gifts, and tea sweets. If you’re new to tea, check out their tutorial on the types of tea they carry. You can shop their online store, or from one of their many retail partners. And just in time for holiday shopping, Tea Gallerie is offering personalized gift baskets for the tea lovers in your life. You can purchase teas in different sizes, from 2oz pouches to 1lb tins. You can also choose from categories like teas for kids, teas for pregnancy, teas for him and teas for her. Prices range from $9.00 to over $100 depending on type and size of the tea. 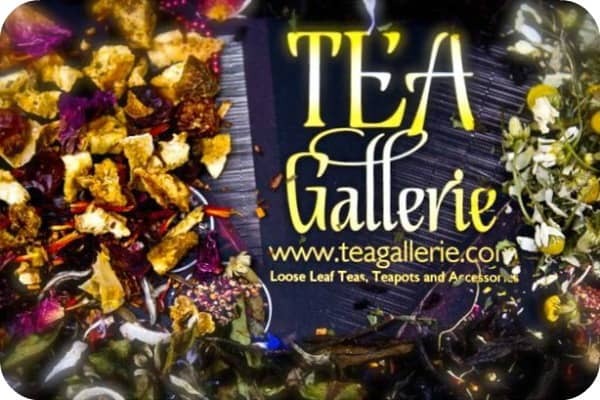 To see the full line of teas at Tea Gallerie, visit their website where you can sign up for their newsletter to stay up to date on new products and special events. bubby loves blueberry looks awesome! I’d like to try Dragonwell. I would love to try the Libre Tea Glass for Loose Leaf Tea on the Go – Large. I would love to try Hawaiian Berries! I love the one touch teapot! I’d like to try the Vanilla Jasmine green tea. The Dragonwell sounds interesting, would love to try it! Blueberry Dream sounds delicious! I’m pretty sure I’d like that. And Mint Chocolate Velvet sounds interesting. I’m not sure I’d like it, but it’d be nice to try. I would like to try the Coconut Cacao Black. I like the TG Masala Chai. 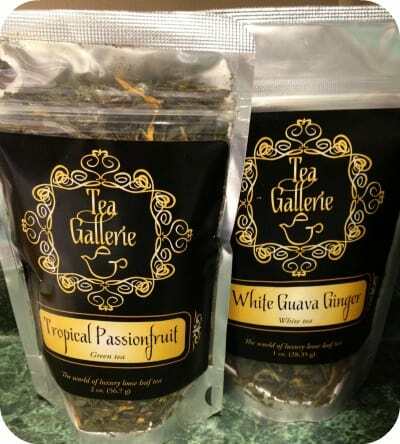 I visited Tea Gallerie and I would like to try their, “Hello Kiwi – A delicate ivory brew, this tea is bursting with creamy coconut and ripe kiwi with a hint of bold cherry. With a subtly sweet taste and unique fragrance, it is perfect for children craving a less robust fruity beverage.” Doesn’t that sound deliciously decadent even for adults? French lemon ginger tea sounds very nice! I am a huge fan of tea. In fact I drink it every day. I think I would like to try the Raspberry Lavender. I want to try Jasmine Pearl. I’d like to try this one: Hello Kiwi.